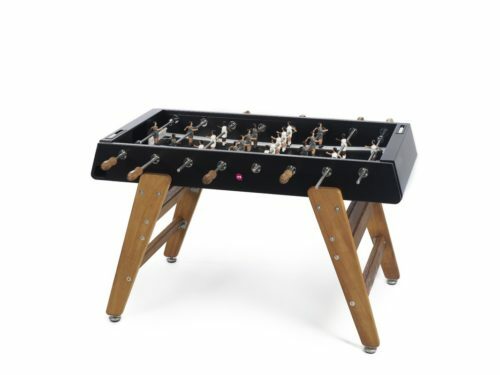 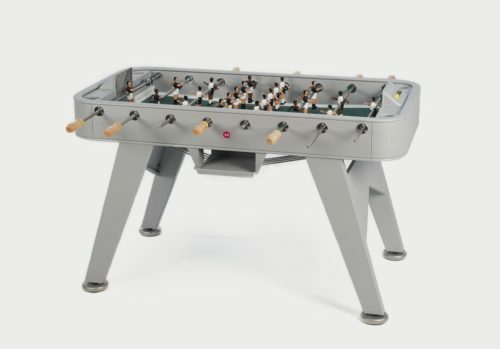 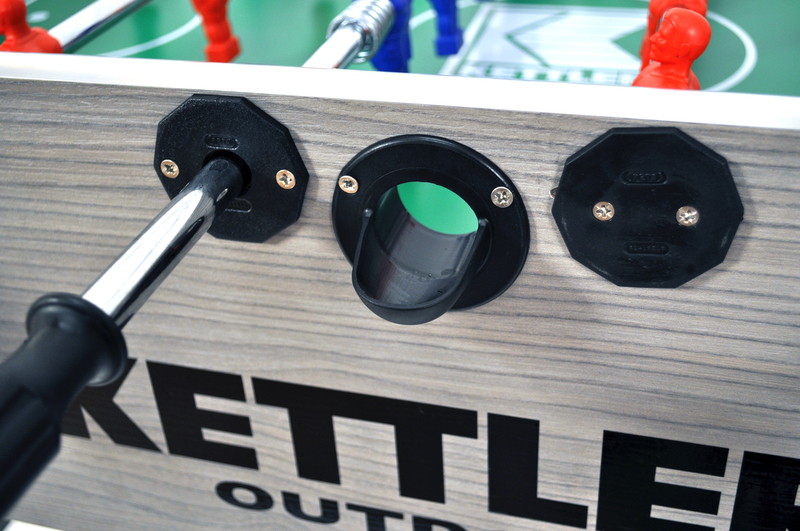 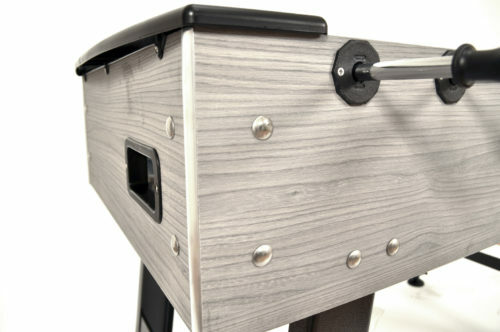 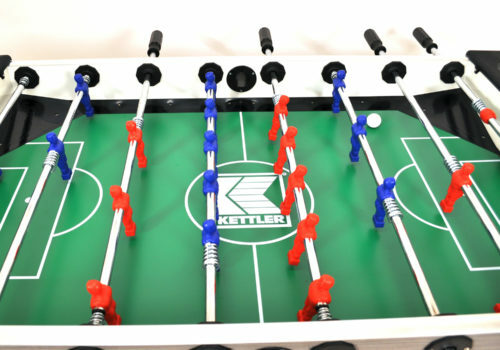 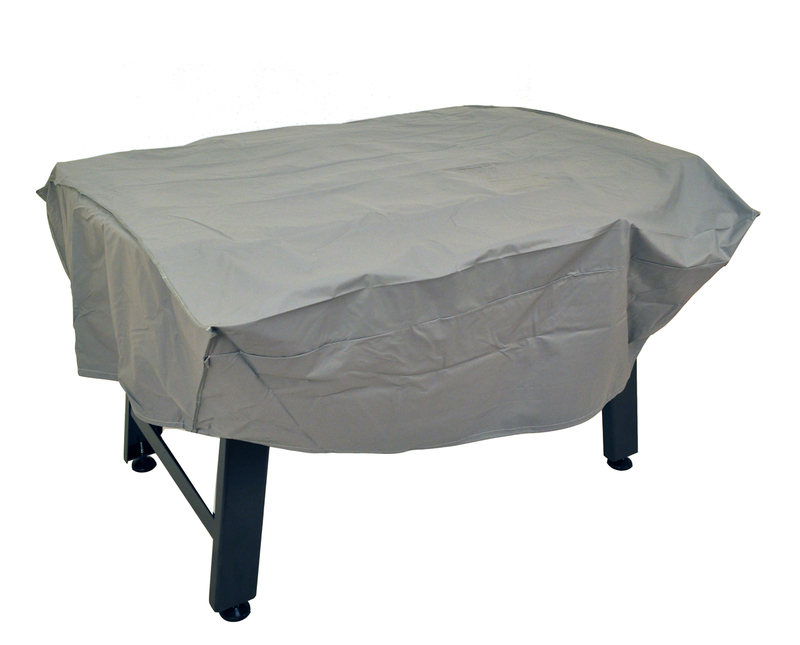 Beautiful outdoor foosball table from Kettler. The melamine playing field is what we really like. 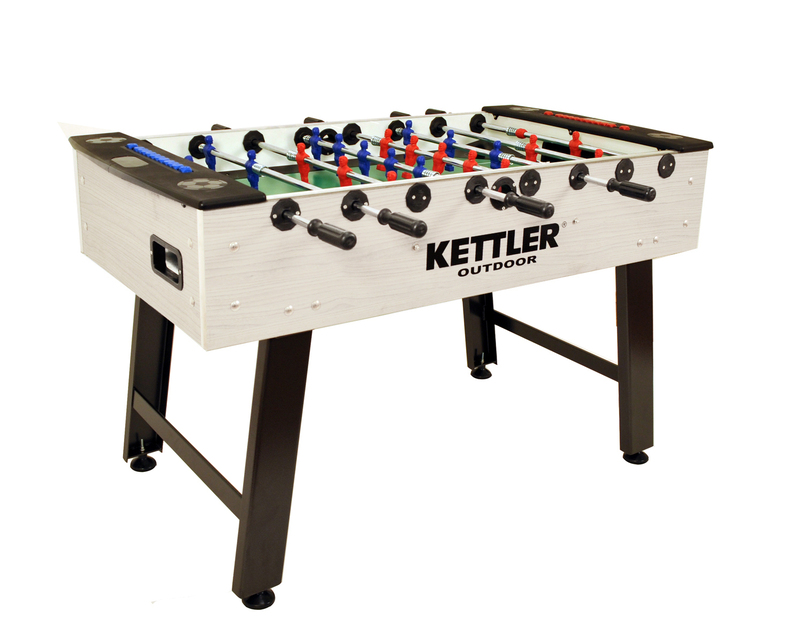 Great laminated cabinet look with side and corner rails to always keep the ball in play. 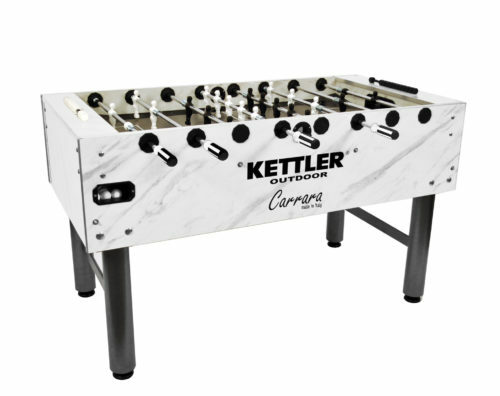 Perfect for backyard fun with friends and family.